Coverstick conceals and soothes blemishes without drying skin. Available in three shades. Formulation: Tea tree and manuka oils balance skin while tapioca starch mattifies. Nurturing botanical extracts anthyllis and calendula are combined with precious botanical oils and waxes to soothe and hydrate skin while reducing the appearance of redness. 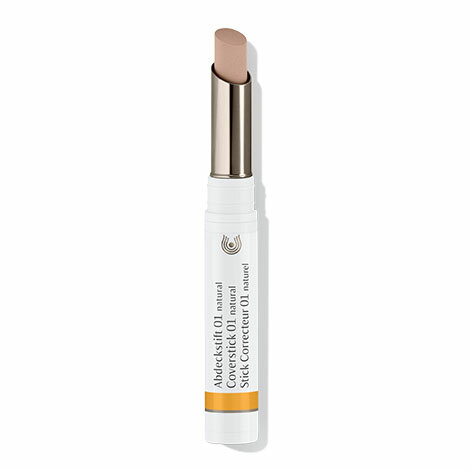 For all skin conditions with blemishes. Apply at the first sign of a blemish. Reapply several times throughout the day. Blend the edges. Foundation and powder may be applied subsequently, if desired. Simmondsia Chinensis (Jojoba) Seed Oil, Olea Europaea (Olive) Fruit Oil, Manihot Utilissima (Tapioca) Starch, Ricinus Communis (Castor) Seed Oil, Beeswax (Cera Alba), Lanolin, Elaeis Guineensis (Palm) Oil, Euphorbia Cerifera (Candelilla) Wax, Copernicia Cerifera (Carnauba) Wax, Rosa Damascena Flower Extract, Daucus Carota Sativa (Carrot) Root Extract, Fragrance (Parfum), Limonene*, Linalool*, Geraniol*, Citral*, Anthyllis Vulneraria Extract, Calendula Officinalis Flower Extract, Prunus Armeniaca (Apricot) Kernel Oil, Tocopherol, Melaleuca Alternifolia (Tea Tree) Leaf Oil, Leptospermum Scoparium Branch/Leaf Oil, Ascorbyl Dipalmitate, Silica, Iron Oxides (CI 77491, CI 77492, CI 77499), Titanium Dioxide (CI 77891), Ultramarines (CI 77007), Zinc Oxide (CI 77947). Absolutely love this product and have used it for years! There is nothing else on the market that covers as well and also heals the spots. Thank you very much! 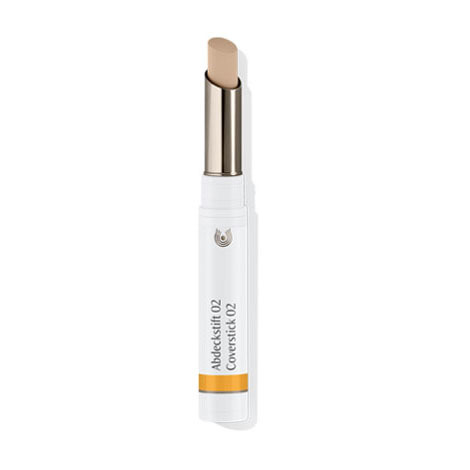 A great cover stick that not only works but also helps skin to heal ...I suffer from Roscea and this really helps to cover my red breakouts and to calm my sensitive and dry skin . Love this product and have used for several years. Truly covers blemishes while treating them and my son, now 18, has been caught covering a mark or two. Excellent. It does both of these things very effectively. Nice smell. Blemishes can be spot treated by dabbing a little Clarifying Steam Bath directly onto the affected area.